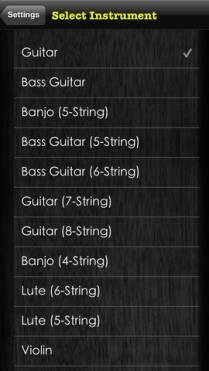 PerfectTune is the ultimate tuner for stringed instruments. 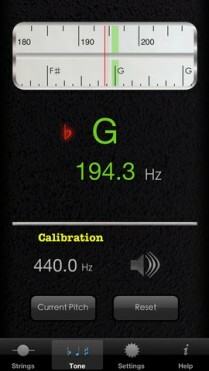 It is a lightning fast pitch detection system, unparalleled by any other tuner on the AppStore. It comes with an innovative multi-string layout that lets you tune your instrument quickly to a great variety of tunings. PerfectTune features optimized algorithms for Guitar, Bass, Banjo and other stringed instruments, and for each of these you can choose from a range of relevant tunings. There’s dropped and open tunings for guitar, period tunings for lute, support for 5 and 6-string bass guitars and various types of banjo. In the innovative Strings view, all strings of the current instrument are laid out on the screen, making it very easy to quickly tune up. 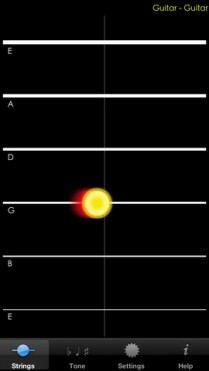 When you select a different tuning, such as Open D for guitar, the pitches in the Strings view are adjusted, helping you adjust the changed strings in a matter of seconds. 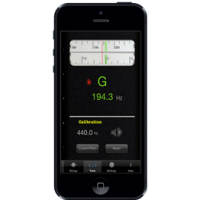 The smart calibration system lets you either enter a reference frequency by hand, or calibrate automatically to a played note. 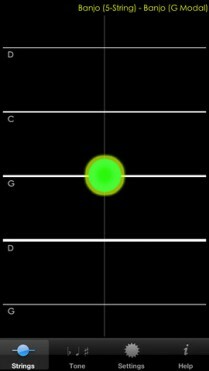 This makes it very easy to get yourself in tune to a fixed-pitch instrument, such as a piano, organ or pitched percussion. 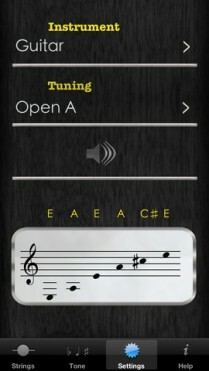 PerfectTune is versatile, fast and precise and makes it fun to tune your strings! If you have any comments, requests or bugs to report regarding PerfectTune, please contact us.